2 "Give us a little background on how WyzeLink came to be and how you support ERP system integration and business intelligence development"
3 "What ERPs does WyzeLink specialise in? Why are Value Added Resellers (VAR’s so important to the ERP eco-system?" 4 "What are the most common complaints or challenges your customers face using ERP systems today? How do you help them overcome those challenges?" 5 "In your opinion, what is the number 1 challenge facing distributors today with regards inventory management? What can they do to overcome this large hurdle?" 6 "In your experience, are there any innovative trends in the distribution industry you have noticed over the last few years that other distributors should be aware of?" 7 "If you were to give one piece of advice to distributors today regarding inventory management, what would that advice be?" Craig Wyeth is the Founder and Director of WyzeLink and has spent the last 25+ years helping customers improve business performance specifically with ERP system consulting and supply chain optimisation. He is qualified in Financial Management, Production and Inventory Management through SAPICS. Craig has extensive knowledge and experience implementing and maintaining ERP systems including Syspro, QAD (Mfg/Pro), Sage X3, Sage Partner, Sage 300, and Sage Evolution. Craig resides with his family in the Western Cape but travels around South Africa assisting clients to be leaner, cost conscious and ultimately more productive and successful. “I grew up and completed my education in Johannesburg, the business hub of South Africa and 18 years ago relocated to Cape Town, the most beautiful city in the world. I am married with two children. We live in Somerset West which is 50km outside of the Cape Town CBD and is part of the wine region of the Cape. I started my career back in 1989 after my studies and military duty. When I initially got involved in ERP systems, they were old clunky ‘green screen’ character-based systems operating on very expensive hardware and infrastructure. I have witnessed the evolution of these ERP systems to become distributed client server-based environments and now the advent of the very exciting SaaS (Software as a Service) model. “WyzeLink was started 2 years ago to meet a growing need and gap in the ERP professional services industry. I was becoming increasingly disillusioned by the poor delivery of ERP solutions, unable to meet the business requirements that they were originally set out to achieve. I decided to set up a company, concentrating on SME companies and to use my experience, knowledge and associations with vendors and partners to deliver a quality, cost effective business solution optimised to support the business processes of customers. This is one of the reasons that I am so excited about our partnership with EazyStock. Our engagement with a company commences with an understanding of the company’s business processes, their long and short term objectives, and their current business information technology platforms. We assist our clients in evaluating, sourcing and implementing the correct business systems to support their business strategy and to enhance their business performance. “WyzeLink has over 25 years of experience deploying a number of ERP systems. Namely, we focus on offering professional services and business intelligence consulting for Syspro, QAD (Mfg/Pro), Sage X3, Sage Partner, Sage 300, and Sage Evolution. It is, however, important to note that EazyStock offers standard adapters between almost all ERP systems and we are therefore not limited to the ones mentioned. “We find that although ERP solutions support most common and, in some instances, unique business processes and workflows, one of the biggest areas of concern is the ability to extract and present meaningful data from these systems. We also find that many customers use multiple systems that are loosely or not integrated at all. There is a very real requirement to extract and collate data from these disparate systems and present this information to management and operational users quickly and in a relevant format. We believe that the strategic utilisation of this information is the cornerstone of success for most businesses. We provide and implement solutions that compliment the ERP system, to extract transactional data, format and present this information to decision makers in a context most meaningful to them. 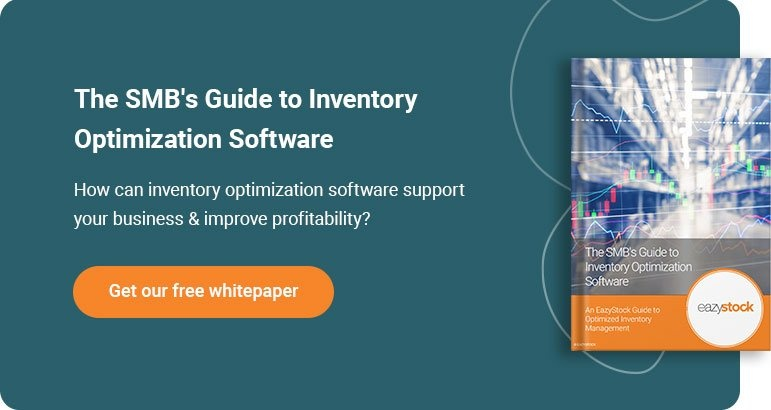 “Without a doubt, the biggest challenge for distributors today is the Cost of Carrying Inventory. This is especially significant in the South African market where a vast majority of inventory is imported and the monetary exchange rates fluctuate sometimes on an hourly basis. The average stock holding is around 32 days. Stock holding for durable goods is around 50 days with non-durable items been held for less than 20 days. Profit margins are under constant pressure and, in a lot of cases, the inventory held is financed. “The days of managing your inventory on an excel spreadsheet and on ‘gut feel’ are gone. Early access to reliable and relevant information and the immediate action on this information is critical. 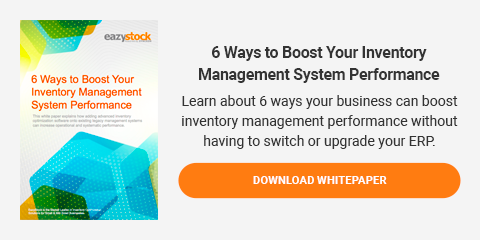 The advent of mature information systems such as EazyStock and the ability to access these systems is relatively inexpensive in relation to inventory stock holding and the potentially high cost if you get it wrong.